If you know me, you know that I love entertaining at home. 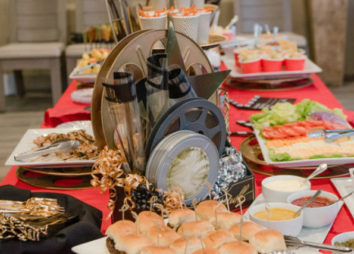 So, I was truly honored when actress and producer, Markie Post; and her husband, screenwriter, Michael Ross, asked me to design an elegant yet casual garden party for a special occasion at their beautiful Southern Colonial estate. 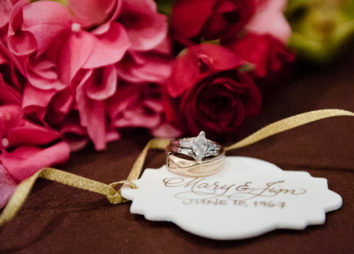 The guests of honor were their daughter and new son-in-law. The wedding took place at an intimate East Coast destination that couldn't accommodate all on their guest list. So, to ensure that SoCal friends and family were included in this milestone, Markie and Michael opened their beautiful family home and offered up their special blend of southern hospitality for a glorious West Coast celebration. Since the sprawling Southern Colonial features a veranda running the breadth of the residence, and an expansive front lawn, these areas became the center of the party. Guests were also invited into the living and dining rooms of the residence to make their dessert selections. 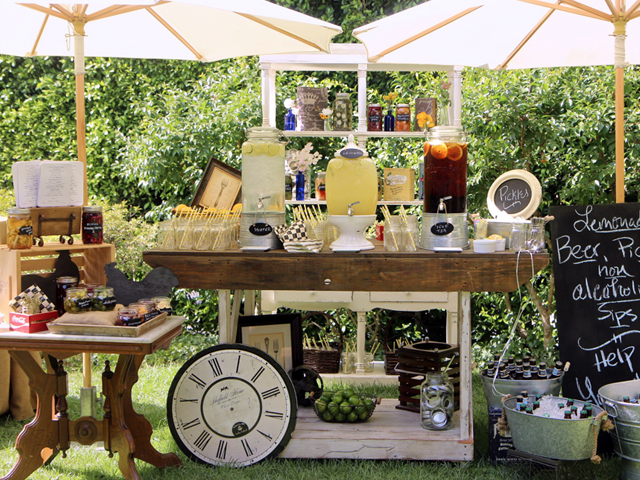 Our approach: create a casual garden party with special touches that truly celebrated the newlyweds. We installed vineyard and southern style elements in undertones of whitewashes and burlaps. Airy country-style blooms in soft hues were strategically placed atop bars, buffets and cocktail tables in common areas. Pops of bright color from lemons and limes tumbled into wire baskets and silver bowls. Two bars encouraged movement and flow. Signature drinks featuring the names of bride and groom were an instant hit. In addition to alcoholic selections, there was a self-serve lemonade and pickle stand with gorgeous self-serve dispensers of ice tea, lemonade and infused water that dispensed into mason jars. The inventive selection of house made pickled fruits and vegetables included pickled chai grapes, pineapple pickled jicama and pickled rosemary cherries. A small bites menu kept it breezy, tasty and elegant. Among the Southern selections were biscuits with pulled pork and slaw, refreshing stone fruit skewers, and tiny tray passed versions of chicken and waffles. Big Bad Rooster Band played country, bluegrass, pop and folk music to attentive guests, some of whom are also entertainers who took the stage for impromptu performances for the happy couple. But the signature cakes stole the show and the hearts of all in attendance: in addition to being an accomplished actress, Markie Post is also an incredible baker! She lovingly baked 3 cakes and astonishingly decorated them in motifs special to her daughter and son-in-law with handmade detailed sugar and fondant flowers. Chocolate dipped strawberries were abundant and—a family tradition—pounds and pounds of See's Candies were offered on nearby etagéres! Every detail of this event was curated with love and care and I'm just thrilled and thankful that my dear clients felt the same way…!